You don’t need another conference. You need connection; you need each other. You need rest so you can press on in what you have been together called to do. 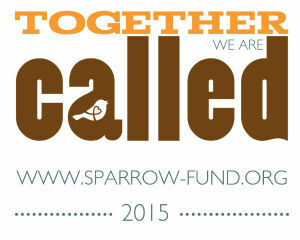 Together Called isn’t another conference. It is an opportunity to come together, a place for husbands and wives to be step out of the chaos called everyday life and be encouraged, a place for us to learn and fellowship together as a couple and as a community. Join us March 27th-29th, 2015 at Bear Creek Mountain Resort and Conference Center in Macungie, PA to hear from keynote speakers Randy and Kelsey Bohlender, energetic parents of 9 children (that was not a typo) ranging in age from 2 years to 21 years old (also not a typo). Within the context of worship as well as laughter and fellowship, be prepared to see things in a new way and be reminded of truths we know as we seek together how we can live out our calling as husbands and wives.